Boasting thousands of miles of natural beauty, a warm climate, and plenty of bustling cities, Georgia is a great place to live and study. 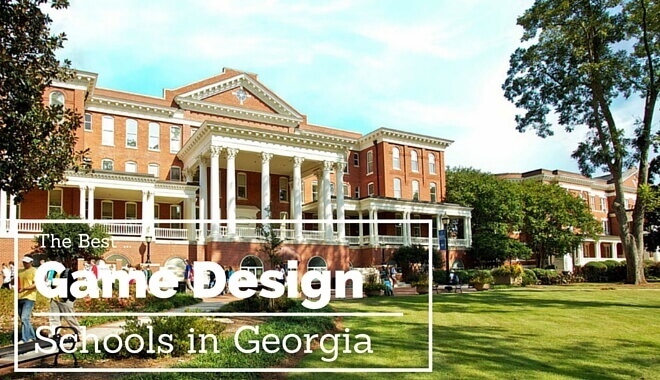 The Peach State also ranks high in the nation for overall education quality, which is good news for students looking to become the next greatest game designer while attending one of the following schools. Georgia Institute of Technology is located in Atlanta and is considered one of the best research universities in the state. This included being ranked as 7th best public university and in the nation’s top 10 public universities by U.S. News and World Reports. As part of the Digital Media graduate program at Georgia Tech, you’ll receive strong theoretical and foundational training in digital media. This includes several courses involving active participation in both research and labs. Three core themes are emphasized throughout the program: Civic Media, Arts & Entertainment, and Creativity & Knowledge. Going through all three themes will make you a well-rounded game developer with a strong background in the cultural, aesthetic, historical, and technical side of games. You’ll also be prepared for a career in game design and production, interactive media design, interaction and information design, and more. Courses required to graduate with a Master of Science in Digital Media include The Computer as an Expressive Medium, Principles of Interaction Design, Discovery and Invention in Digital Media, and two Project Studios. Also required are 5 courses totaling 15 hours, 5 additional courses totaling 15 more hours, and 6 hours of either a Master’s Project or Master’s Thesis. An 8-10 week full-time non-credit internship is also available between the first and second year. The strength of this game design school is its ability to make you a solid game developer who is capable of serving in many positions required in game development. The downside is that there is only a Master’s degree available and only around 20 to 25 full-time students are admitted to the program. In-state Georgia residents attending Georgia Tech paid $23,028 for the 2014/2015 academic year while out-of-state students should expect a one year cost of $42,332. On-campus housing costs are $10,434 per academic year. One of the state’s largest and most respectable centers of higher education, Georgia Southern University offers 124 degree programs at every level to more than 20,500 students each year. It consistently ranks high in various lists by U.S. News & World Report, BestColleges.com, and more. Unlike at other schools, here you’ll have the opportunity to further your studies with a Master of Fine Arts degrees. The program is fantastic because it offers you three different Concentrations: 2D Studio Art, 3D Studio Art, and 2D Graphic Design. Each one will make you a valuable addition to any game development team looking for an experienced and creative artist. Having the option of a M.A. degree to continue your training is perfect if you’re an aspiring game artist. But even if you only go for the B.F.A. degree you’ll still end up with a powerful portfolio after working the latest programs and tech, including Mac computer labs, photo shooting room with green screens, SLR digital cameras, and more. The negative side to this school is that there is no programming-focused game design major. Cost of tuition is $290.00 per term for students enrolled in 5 hours or more and $145 per term for students enrolled in 4 hours or less. Savannah College of Art and Design is a top class school that has received recognition numerous times for its achievements by reputable college admission services like The Princeton Review. This is the place to go if you want to become a leader in visual game development. This school is arguably one of the best in the country for offering an impressive amount of gaming degrees. These include a B.A. in Digital Media as well as a B.F.A., M.A., and M.F.A. in Interactive Design and Game Development. Each one of these programs gives you the chance to work with industry professionals while using latest interactive design tools. These programs also prepare you for a fast-paced workplace by involving team-based projects that you can feel proud of at the end. Depending on the program, you’ll also cover everything from Interactive Design, Physical Computing, Social Media Applications, Game Design Documentation, Game Art Methods, Game Design Perspectives, Character Development, Environment for Games, and more. The fact that students involved in SCAD’s game program have won the E3 College Game Competition several times should tell you just how good the classes and training is. To be honest, the only downside we can think of for any aspiring game developers attending this school is the tuition cost. It’s not expensive but not cheap either. A full-time undergraduate student can expect to pay $34,470 for one academic year. Tuition for a full-time graduate student is $35,325 for one academic year. On campus, housing fees range from $8,889 and $10,221, while the basic rate per quarter for a meal plan is $1,710. Note that certain housing options require a meal plan. Southern Polytechnic State & Kennesaw State U.
Kennesaw is Georgia’s third-largest university and offers more than 150 undergraduate and graduate degrees. This includes a Minor in Computer Game Design and Development as well as a Bachelor of Science in Computer Game Design and Development. While the Minor is perfect if you simply want a taste of what it’s like to game games, the Bachelor of Science is for you if using computing hardware and software to create captivating game systems is your goal. The B.S. program covers everything from 2D and 3D graphics, modeling, artificial intelligence, data structures, simulation, and more. The benefit of this school’s game design programs are their ability to make you a skilled and experienced programmer for games. However, if you were hoping for a program on the artistic side of game development, you won’t find much here. Undergraduate e-tuition costs for Fall 2015/Spring 2016 are $277.33 per credit hour and $408 per credit hour for graduates. Summer classes are available and cost the same with only a few dollars difference. A$355 student fee is required for Fall and Spring, while $315 is required for Summer. The goal of West Georgia Technical College has always been to provide great educational opportunities for students with a dream career in mind. A Game Development Specialist certificate program is available. This brief but valuable certificate program will give you the tools you’ll need to work at a game studio as an entry-level developer, designer, or programmer. Some of the courses you can look forward to include Intro to 3D Animation, Game Design, Game Development I and II, and Mathematics for Game Developers. While the certificate is good if you want to see what it’s like programming for games, it’s still only a certificate. If you were hoping for a 4-year degree, especially one that emphasizes the artistic side of game development, then West Georgia Technical College isn’t for you. Tuition fees are $89 per credit hour. Georgia residents attending West Georgia Technical College paid $10,654 for the 2014/2015 academic year while out-of-state students paid $12,790. Without counting housing or food, the total cost is$4,082. Wiregrass Georgia Technical College offers more than 100 programs with various options, including credit and noncredit courses as well as distance learning options. As an aspiring game developer you’ll most likely find interest in the Animation and Game Design Specialist technical certificate of credit. The technical certificate will train you in the areas of animation and interface for games, including web related fields. The four excellent courses required are 2D Computer Animation, Introduction to 3D Animation, 3D graphics for Gaming, and an elective of your choice. As with most certificate programs, the Animation and Game Design Specialist technical certificate is a good way to find out if you want a career in game development. However, those who want something more substantial will need to look elsewhere. Tuition fees are $89 per credit. Since the Animation and Game Design Specialist technical certificate requires 14 hours, you’re looking at $1,246.00 without counting other fees. The Franklin College of Arts and Sciences is the oldest and most diverse academic college at the University of Georgia. Offered is a Bachelor of Fine Arts in Art with an area of emphasis in Graphic Design. Whether you’re talking about a small game studio or a big budget company, there’s always a demand for artists in the game industry. This art-focused degree will train you to help create virtual worlds as captivating as the ones you’ll find in your favorite games. Notable courses include Graphic Design, Drawing, Interior Design, Scientific Illustration, and Photography. 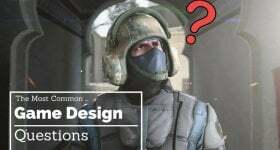 This degree will make you a solid graphic designer able to create a visual representation of ideas and messages for others to work with in a game development environment. The downside to this school is that the school doesn’t really offer a game design program that emphasizes the programming and computer science end of game creation. Georgia State University offers more than 32,000 students 250 undergraduate and graduate degree programs. Their two game design programs are a Bachelor of Interdisciplinary Studies Concentration in Video Game Design and Development and an Interdisciplinary Minor in Game Design and Development. Both the Minor and B.I.S. programs are rooted in the technical side of game creation and the ability to create virtual landscapes and interactive experiences with the latest software. Areas of game creation, including interactive storytelling, music, graphic design, and more, are also covered in this program. Both programs are strong for their focus on providing the technical skill and background needed to earn an entry-level job at a game company. The problem with the program is that it is programming-intensive, which isn’t favorable if you want something more on the artistic side of making games. The University of West Georgia has been ranked one of the Best Southeastern Colleges by the Princeton Review for more than a decade. A Game Design and Development course is offered to students involved in the Bachelor of Science in Computer Science program. The Game Design and Development program lets you explore the fundamental design principles and practices needed to create engaging computer games. Important topics covered in this course include game design, storytelling, graphics, animation, and network and multi-player issues. The undergraduate Computer Science program also provides a great basis for graduate education in computer science and other disciplines. While the Game Design and Development course is great, you probably noticed the obvious problem here: there is no solid Game Design major. Even so, you’ll be more than ready to apply for a programming job at any game company after earning the B.S. in Computer Science from this impressive school. Undergraduate Georgia residents paid $2,613 per semester for the 2015-2016 academic year while non-residents paid $9,222. There are several top-ranked video game design schools in Georgia. 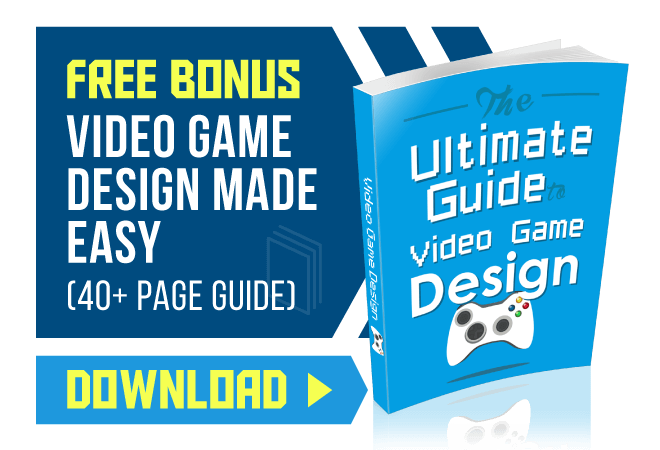 Making it one of the more popular states for aspiring game designers and developers to learn. Of course, Georgia is far from being a hot spot when it comes to active game developers. Just one look at Gamedevmap.com shows there are only around 20 developers and publishers, and nearly half of them are mobile-focused. While Hi-Rez Studios and Tripwire Interactive would be cool places to work at, you’ll most likely seek career opportunities elsewhere. The good news is that the East Coast is ripe with excellent game companies. Notable developers like Insomniac Games, Epic Games, and Red Storm Entertainment are also close by in North Carolina.